How can I do this? Note that this only applies to my first chapter. But then the number in the section refers to a chapter number that does not exist. 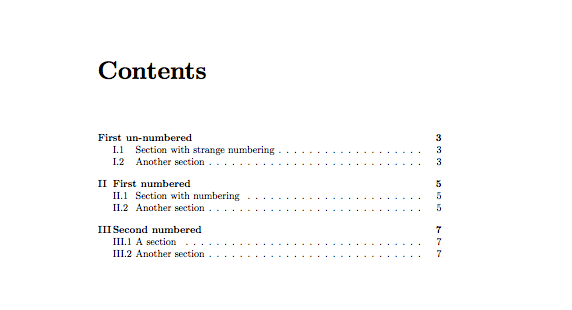 In this case I think it is better to completely remove the chapter numbering from the section numbers in the first chapter. 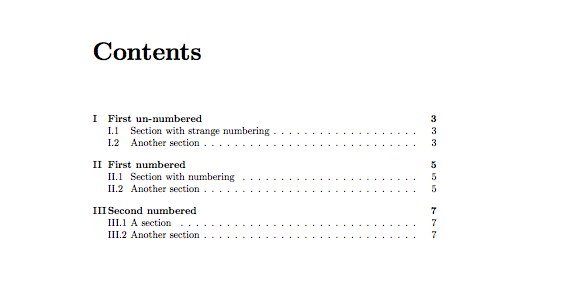 Of course, it would be even better to have also the first chapter numbered. Not the answer you're looking for? Browse other questions tagged table-of-contents sectioning chapters or ask your own question.